Sunday, October 14th, the Wildling Museum of Art and Nature held its annual fall event—The Art of Brunch. There were 110 guests who enjoyed this unique brunch experience that transformed the Wildling’s first-floor gallery for one day into a delightfully creative social event. The Art of Brunch featured a bouquet of quality entertainment that includes live music, multi-sensory art demonstrations, a silent auction, our famous Bloody Mary bar, and unexpected delights. There is no other event like this! This year's art demonstrations included a painting by Kevin Gleason, mosaics by Patti Jacquemain, gourd art by Kathy Badrak, and live music by Charles Stauffer. You mingle with other local artists, including Cheryl Medow and Hilary Brace from our current main exhibit, Nature Imagined. 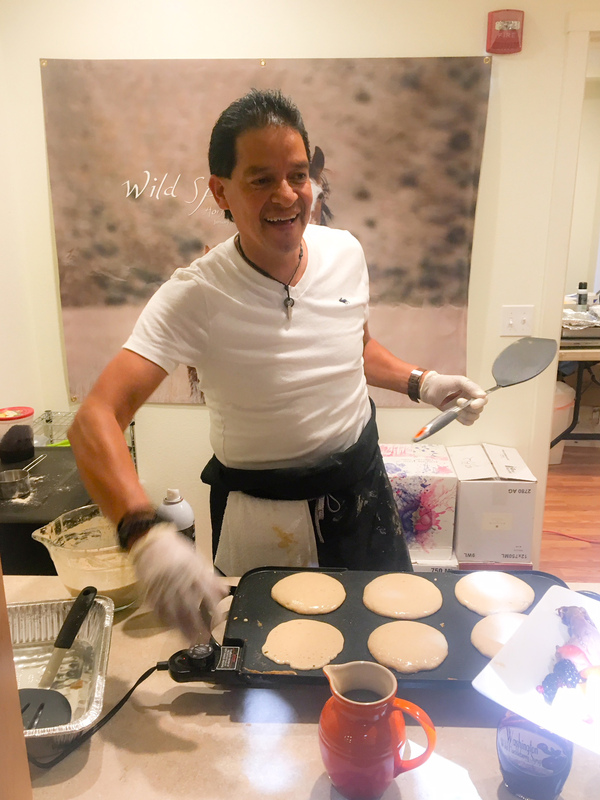 The brunch fundraiser helps the Wildling offer quality exhibitions, programming, and educational outreach to our creative Santa Barbara County community and beyond! At this event, there was a silent auction, live auction (with our very own George Rose as auctioneer! ), raffle, and table centerpiece giveaway! Art in our auction was from amazing local artists like; Jessika Cardinahl, Chris Chapman, Claudia Chapman, Connie Connally, Ivanie Finsvik, Rebecca Gomez, John Iwerks, Robbie Kaye, and more! Louise's Kitchen Table's menu included meat, cheese and vegetable frittatas, bacon and Danish sausage, a pancake station, fresh fruit, assorted danishes from Solvang Bakery and more!